Cy Twombly first entered the stage of visual arts with drawings, his nervous line making quickly becoming a trademark of his art. Vol. 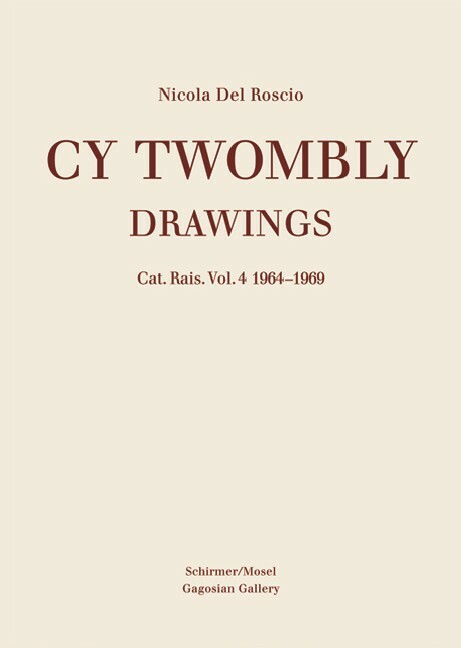 4 of the Cy Twombly Drawings Catalogue Raisonné covering the years 1964–1969 features, among others, his first whorl works—the artist’s response to Conceptual Art and Minimal Art—and his famous series Letters of Resignation. Schirmer/Mosel. Edited by Nicola Del Roscio. 208 pages, 286 colour plates. Size: 24.5 x 34 cm, hardcover. English edition.